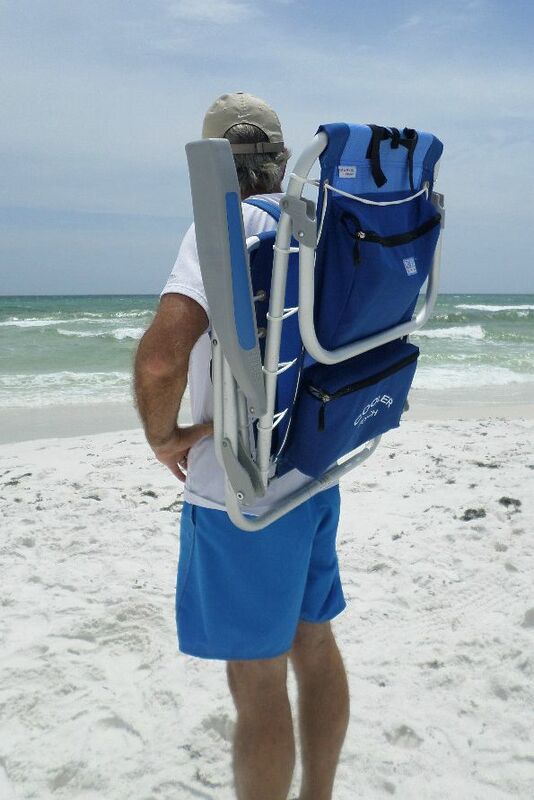 Carry a backpack beach chair on your back and your hands are free for carrying coolers, kids or beach bags. This Rio beach chair goes with us on every trip - of course not just one but two of them. Wide, cushioned straps make it comfortable to carry on your back. It's light enough that even kid can carry it. An insulated cooler, towel rack and a large zippered pouch make it easy to keep drinks cold and valuables protected. With a headrest and four reclining positions comfort comes easy. It sits 11" from the ground and has molded arm rests along with a pouch in the back to carry other beach gear. Comfort for your back while carrying your beach chair and comfort while relaxing in one of the 5 reclining positions including laying flat. 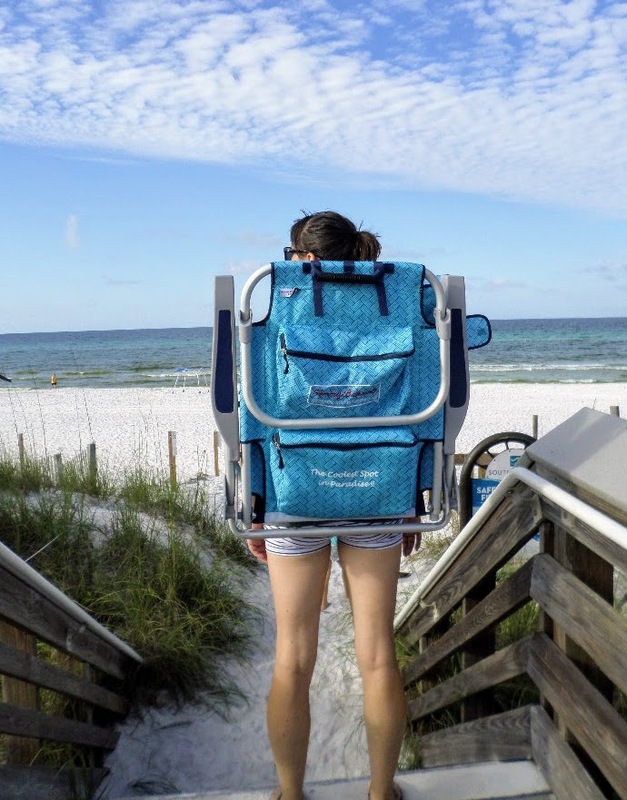 Padded shoulder straps are just one of the features of this backpack beach chair. 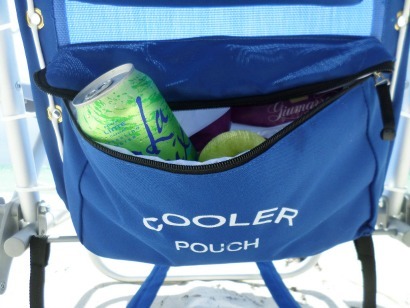 An insulated storage pouch on the back of the chair helps to keep drinks and snacks cool and a cup holder on the side keeps your drinks handy. Sturdy yet lightweight this beach chair holds up to 300 lbs. 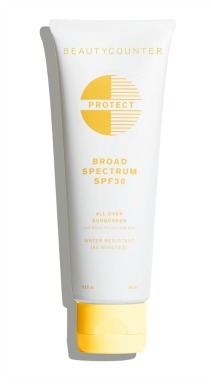 A large zippered pouch on the back will hold your beach towel, Kindle, cell phone, keys and sunscreen. The attached towel rack keeps your towel off the sand for quick drying. 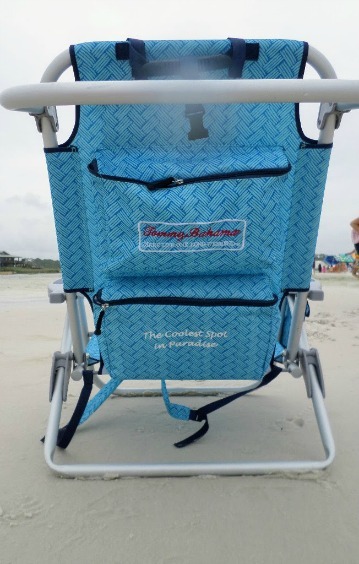 An adjustable pillow means a nice fit for all sizes and pouches to hold your cell phone or keys make this beach chair a favorite. This large beach chair offers an extra wide seat made of a sturdy aluminum frame. It adjusts to 4 positions and can be easily carried on your back with adjustable padded shoulder straps. Low to the ground - about 10" you can keep your feet cool by sitting close to the water. 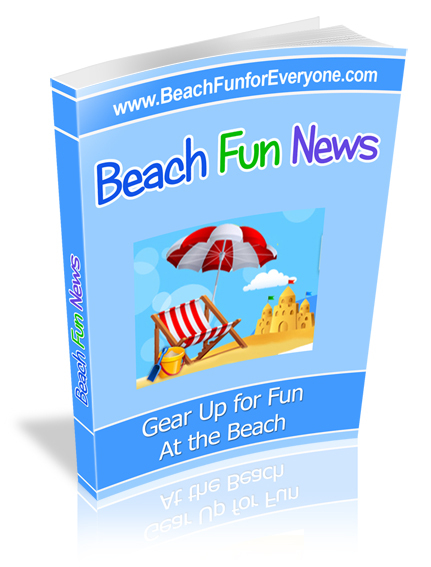 A large rear pouch can be used to carry your towel and other beach gear. The weight capacity is 300 lbs. Whichever chair you choose, free up your hands and carry these lightweight chairs on your back comfortably with padded and adjustable straps.